Your customers are where you derive all your value as a business. But without proper customer relationship management, you could miss out on leads or lose loyal clients. The Companies and Contacts database lets you store and manage all your customers and prospects in one place. Not only that though. It also helps you segment them into types, industries, areas and groups, making the work your sales force or customer services team puts in that much more targeted. We also know that no two businesses are alike. With the Bluwave system, you get User Defined Fields, allowing you to customise the system to your needs. Organise your existing and potential customers by type, industry, area and group. 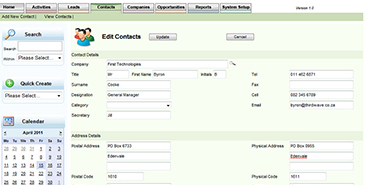 Tailormake the system for your business with our User Defined Fields. Store any number of contact people per customer. Allocate your customers to your branches, as well as specific sales staff within your branches. 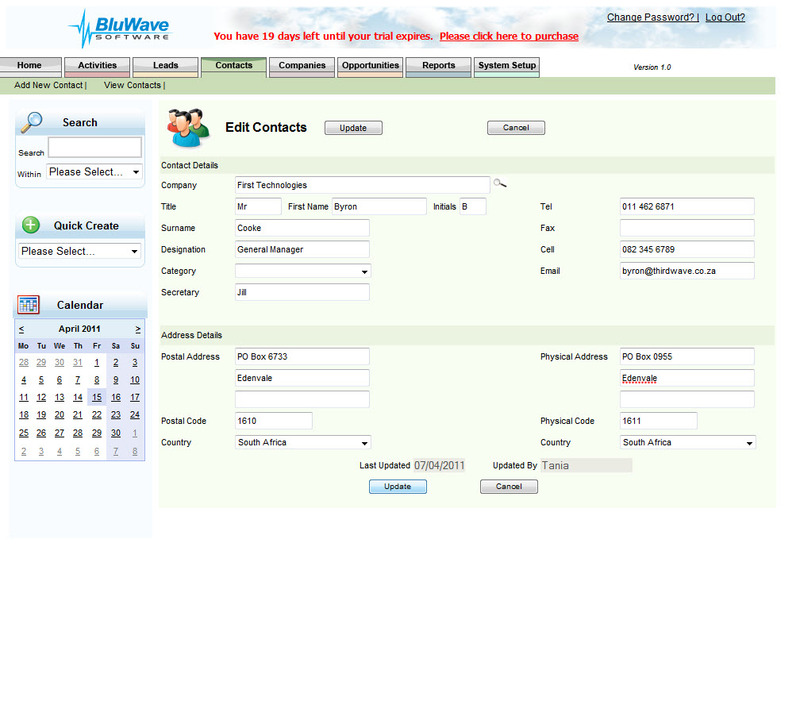 Want to know more about how you can manage your customers and your contacts with BluWave CRM? Contact us today.